Bringing the Bible to life may seem like an insurmountable task. 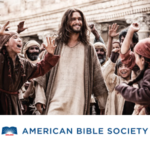 But Mark Burnett, producer of the popular reality series Survivor, and wife Roma Downey (Touched by an Angel) committed to doing just that with The Bible, a 10-hour miniseries that debuted on History Channel on March 3. Their goal, Burnett explains, is to breathe fresh, visual life into the Bible’s grand narrative.